Tomorrow is Oscar day. If you are anything like me, you watch as many Oscar-nominated films as humanly possible (while still, of course, maintaining some semblance of a life) and hope your favorite movies walk away with the coveted trophy. The Oscars are it, the last pit stop in the awards season, the culmination of all that was brilliant in film that year. This year, filmmaker Sharmeen Obaid Chinoy became the first Pakistani to ever garner an Academy Award nomination. Her documentary, Saving Face, co-directed with Daniel Junge, is up for the Oscar in the short documentary category. The film delves into the issue of acid attacks through the lens of the women affected by tragedy and the doctor trying to help them. In Pakistan, there are 100 acid attacks reported each year, but many cases go unreported, the victims instead relegated to the shadows of society. The stories are woven into the larger narrative, but also are documented as a journey for retribution. Dr. Mohammed Jawad, a plastic surgeon in London, works to help these women become a part of society again. On Zakia, he performed the first surgery of its kind in Pakistan. The Guardian noted, “He used Matriderm to smooth her ravaged face, gave her a pair of glasses with a painted eye and attached a prosthetic nose, allowing her finally to show her face in public.” The results are extraordinary for a woman who had stopped showing her face in public (instead covering it with a burqa and sunglasses), whose life had previously been stolen by her husband’s atrocities. The beauty of Saving Face was in its very human and nuanced portrayal of all its characters. Zakia was not just a victim of an acid attack, a faceless woman both literally and figuratively. She was a survivor, someone strong enough to fight against the system. During the film, her husband was found guilty of his crimes, receiving two life sentences. Her case was the first to be tried under the new law passed unanimously by Pakistan’s Parliament (and tirelessly pushed forward by the Acid Survivors Foundation and MNA Marvi Memon). Rukhsana’s story was more bittersweet but reflected the tragic reality facing most acid victims. Many, like Rukhsana, are forced to live with their attackers, mainly for economic reasons. This speaks to the complexities that exist in societies like Pakistan, where attitudes towards domestic violence (honor-related or not) and victims, are a very large part of the problem. Lack of economic opportunities, social stigma, and safety problems among others all act as significant obstacles for survivors of these attacks. While passing legislation to give their attackers life imprisonment is an important top-down step, there is much more that needs to be done to address the symptoms behind this problem. We need to do more than just be prescriptive. I watched the film yesterday evening. I expected to cry, to be horrified and indignant for the state of our society, for the crimes committed daily against women in their own homes and by their own family. But I did not expect to also walk away with a deep and lingering sense of hope. Dr. Jawad’s compassion and charm jumped off the screen, and his deep relationships with both Zakia and Rukhsana were touching. After having a baby boy, Rukhsana told Jawad she had named him Mohammed with hopes that he would grow up to be a doctor just like him. Zakia’s son was also a strong but silent character woven beautifully into the narrative. Though he did not speak during the film, he stood constantly by his mother’s side, a small example of how all is not black and white in these stories. The Oscars will air tomorrow evening (EST), and Saving Face will be shown on HBO on March 8th. Sharmeen, you have an entire country behind you. And we are all rooting for you. 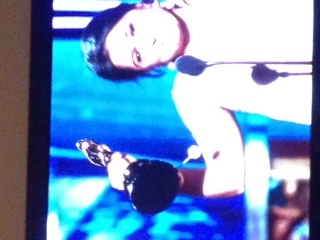 UPDATE 2045 EST: Sharmeen just won the Oscar – AHHHHH!!! Pakistan’s first Oscar – SO PROUD! Horrible quality photo, but I was too excited to take a good one of my television! Copyright All rights reserved by Without Shepherds Film Inc.
As revolution continues to spill over the Middle East, some have questioned whether a similar rallying cry would erupt on the streets of Pakistan. But while we have certainly reached our own tipping point, it is not a moment defined by a call for regime change. It is far more complex. Pakistan is a country that suffers from an identity crisis. And ultimately, if we don’t know who we are, do we really know what we are fighting for? Without Shepherds is a feature documentary that addresses some of these very complex and fundamental questions. The film, directed by Cary McClelland and made in partnership with Pakistani filmmakers [The Crew Films & EyeBee Films among others], offers a glimpse into the nuances of the country through the eyes of six diverse characters – Imran Khan, a cricketer-turned-politician; Vaneeza, a model/actress; Laiba, a Peshawar-based journalist; Abdullah, a truck driver; Arieb, a Sufi musician; and Ibrahim, a former Taliban fighter. 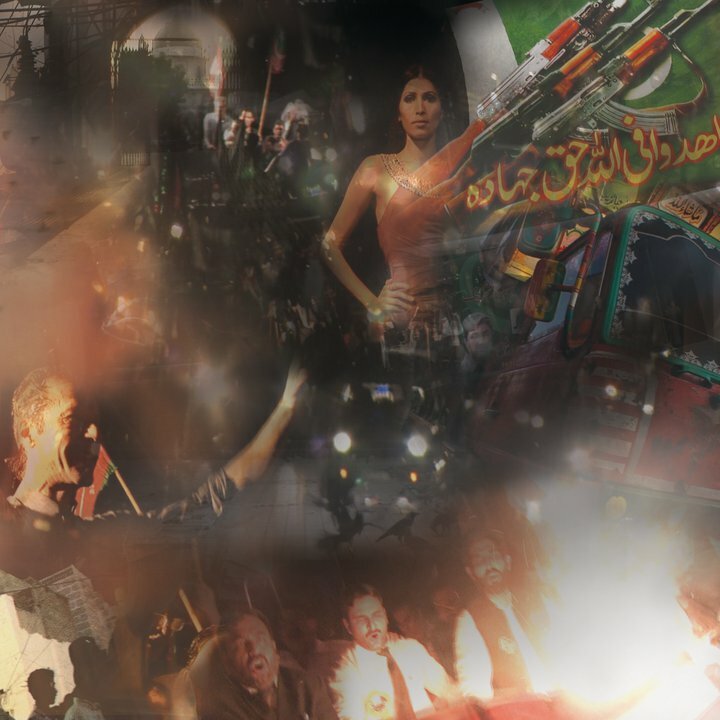 Each character has a mission and their documented journey from February 2008 to November 2008 is a reflection of the broader struggle within Pakistani society. The casting of the film was extremely important in demonstrating both the diversity of the country as well as their shared humanity. While selecting Imran Khan was relatively easy, given his boycott of the February 2008 elections and subsequent “outside-in” perspective, the Without Shepherds team took many trips around the country to discover other interesting narratives. Abdullah, whose struggle to provide for his family keeps him “chained to the road,” gives us a glimpse into the world and wisdom of Pakistan’s truck drivers, who have traversed the entire country and subsequently possess unique insights. According to McClelland, Abdullah was “the most empathetic and human character in the film,” a man who exhibited a sophisticated world view despite being self-educated. Each of the character’s journeys was unique, but their shared struggle for justice made the “film a very emotional experience” for those involved. There are connected because they all went against the mold, and each person at the end of the story arc either overcame their obstacles or came to peace with their situation. WITHOUT SHEPHERDS Trailer from Cary McClelland on Vimeo. Last week, I attended a screening of Slackistan, an independent film by director Hammad Khan. The film, which screened in London, Abu Dhabi, New York City, and San Francisco [Pakistan screenings are coming soon], was recently described by the NY Times as, “a pitch-perfect comedy about restless youths in Islamabad,” and is a raw embodiment of 20-something angst, superficiality, and existential musings about life. As someone who grew up in “the city that always sleeps,” Slackistan was – ironically – a very real treatment of Islamabad’s detached reality. That, in many ways, was director Hammad’s point – to organically create something that was closer to a documentary than a film. Slackistan‘s characters to an extent even mirror the actors who portrayed them – somewhat like art imitating reality. Hasan, the narrator and main character in the film, is a 20-something who dreams of becoming a filmmaker, but instead drives listlessly around the city with his friends, hangs out at coffee shops, and waxes philosophical about where his life could be going instead. He is played by Shahbaz Shigri, also a 20-something, also an Islamabadi, and also an aspiring filmmaker, though he is making that dream come true rather than slacking alongside the city’s affluent class. Ali Rehman Khan, who played Sherry, Hasan’s best friend in the film, echoed, “It was easier for me to relate to my character because I grew up in Islamabad and have been through many of those same experiences. It was important that Islamabadis were a part of the film because it gave Slackistan authenticity – we weren’t really characters as much as people in the film.” The making of the film, he added, was also a collaborative process, with Hammad mapping out a scene while the cast and crew were at a cafe or another site, always keeping his camera on him at all times. It’s important to say that it’s a personal film…it [Islamabad] always used to frustrate me that well, we’re pretty modern, we’re pretty connected, but the town and the environment just doesn’t lend itself to any kind of creative growth or progress. You know, we had nothing to do, nowhere to go. So that was something that I thought, what do you do? How do you move forward? And that sort of extended itself into this kind of metaphor for the country as well because these are young people living in a bubble and they can’t really move forward and in a sense that’s kind of how Pakistan is right now in the world. In an interview with the Guardian last year, Hammad further noted, “Slackistan should be a wake-up call to the wider youth base, both in and outside Pakistan, to redirect the future of the country.” The film, though it depicts affluent young 20-somethings with no sense of purpose, does have a purpose and a solution – to take action, even if it means taking small steps to achieve that goal. Slackistan, though not without flaws, was a unique and telling film told through a Pakistani lens, one of many into the country’s rich and vibrant society. As a fellow Islamabadi, it was not only a very real depiction of life in the city that always sleeps, but it was also a genuine attempt to capture the uninspired underpinnings of this slice of society, a wake up call for the apathetic and the affluent. It’s official. Bollywood’s releasing a new film this weekend. But given that the Indian film industry releases the largest number of movies in the world (about a 1000 a year, according to some sources), this isn’t really news. It’s a big, big, scratch that, huge deal to see a Pakistani star promoted this way in India…Indeed, if Tere Bin Laden turns into a box office smash, Ali Zafar will reach a level of stardom hitherto unprecedented in our industry and he will also become a one of a kind phenomenon in Bollywood…After all, which actor does Bollywood have who can act, dance and sing his own songs? The answer is none. Ali Zafar is a rare breed. Yeah! Take that, Bollywood! Billie Jean is not your lova! Seriously, though, the film is garnering major buzz (and tweets), and is described as “a tongue-in-cheek comedy about an ambitious young news reporter from Pakistan who is desperate to migrate to the U.S. in pursuit of the American dream.” When the journalist comes across an Osama bin Laden look alike, he decides produce a fake Osama video “and sell it to news channels,” leading to serious ramifications. Comedy or not, producers are opting to shorten the film title to Tere Bin when it’s released in Pakistan, “so as not to draw the ire of militant Pakistani Islamists,” noted the Wall Street Journal. Me thinks said militant Pakistani Islamists may be “ired” anyway, seeing as how they probably watch television and know the real name is actually Tere bin Laden. But I digress. Back in January, the U.S. Federal Bureau of Investigation (FBI) released fresh images of Osama bin Laden, using “digital enhancement” technology to show what the Al Qaeda leader would look like today. What kind of “technology” you ask? Google. 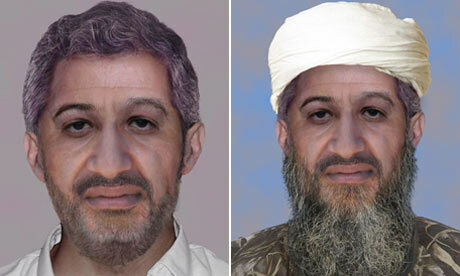 Turns out the FBI updated the bin Laden photo using the grey hair, jaw line and forehead of Spanish politician Gaspar Llamazares. Not so intelligent. Gary Faulkner, the Bin Laden Hunter. Nuff said. According to Chinese news agency, People’s Daily Online, the Afghan Taliban is “training monkeys to use weapons to attack American troops.” No, really. Monkeys are apparently being armed with “AK-47 rifles and Bren light machine guns in the Waziristan tribal region near the border between Pakistan and Afghanistan.” And this isn’t the first time! According to the news agency, the CIA also “trained massive “monkey soldiers” in the Vietnam War and dispatched armed monkeys to dangerous jungles to launch assaults on Vietnamese soldiers. Today, the Taliban forces have given the American troops some of their own medicine.” Wow. Bow down to Monkey Soldier, Yankee! So yes. Excited for Tere bin Laden and Zafar’s Bollywood debut. But also secretly hoping for a sequel that uses the aforementioned details we call news. Because monkey soldiers, Gary Faulkner, and Spanish MPs-turned-doctored-bin Laden-images are a hilarious combination that you just can’t make up. I think Paul the Octopus may even predict a smash hit! On Sunday, CNN’s Fareed Zakaria interviewed Bollywood actor/superstar Shahrukh Khan on his recently released film, My Name is Khan, his U.S. airport security woes (Stars! They’re just like us! ), the Indian film industry, and perceptions of America abroad. I think it’s a duty of every educated, maybe a little liberal Muslim to go out in the world and if he has the opportunity, like I think I have as an actor, I think we need to make sure, that’s yes, this is what it stands for, this is what Jihad means, this is what tolerance means and this is what Islam means. Shahrukh raises a point we’ve discussed heavily before on this forum – do “moderate” Muslims have a responsibility to spread a more tolerant image of Islam? And, more specifically, do Muslim celebrities bear the burden of carrying that torch? 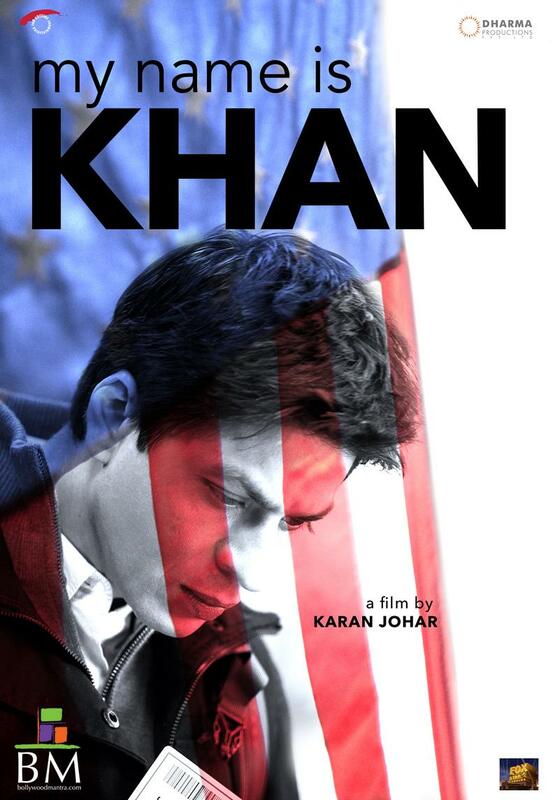 In My Name is Khan (feel free to weigh in on your opinion of the film since I haven’t yet seen it), Shahrukh plays a Muslim man married to a Hindu woman living in post-9/11 America, who subsequently “has to go on a journey to explain to everybody that, guys, just because ‘My Name is Khan’ doesn’t mean I’m a terrorist.” The debate is significant because it raises several fair points – first, if the loudest voices in the room are on the far end of the spectrum – Islamist radicals – shouldn’t there be attempts to at least raise the volume of the moderates? At the same time, has that moderate voice been cohesively defined in a manner that can counter negative perceptions? Finally, are we doomed to be constantly on the defensive, particularly since many attempts are unraveled the minute a terrorist attack occurs? You know when George Bush saw Manmohan Singh at some event, the first time he had an opportunity chance to introduce his wife, Laura Bush, to Manmohan Singh, he said to her, honey, this is the prime minister of India. This is a country that has 150 million Muslims and not one member of Al-Qaeda. That was the way he thought of Indian Muslims. Why do you think Indian Muslims are not so radicalized? Now, I admit to know relatively little on the subject of Muslim identity in India, but I do think Zakaria’s point is interesting. Although Shahrukh responded, “I think Indians by nature like people and they’re compromising and understanding,” I’ll leave further discussion about Zakaria’s question up to you guys (refraining from Pakistani/Indian bashing of course). Q: You went from being a medic on a film set in London to filming your first movie in the dangerous terrain of northwest Pakistan. What inspired you to make the jump into film and why did you choose to go to Pakistan for your first project? For a few years following the 9/11 attacks in New York, I was working as personal medic to Hollywood celebrities whenever they were in London for film shoots. It was while looking after Sharon Stone that I realized how far I had strayed from my mission in life. Paramedics, like most health professionals, are generally imbued with compassion and a sense of justice. Did I train for five years to dish out headache tablets to famous people? The vacuousness, materialism and selfishness of the world in which I inhabited began to frustrate me and I knew my calling was far greater. In addition to this, having traveled as a tourist in Pakistan in August 2001, I had been deeply touched by the country. Immediately after crossing into Pakistan from India, my wife and I were overwhelmed by the difference in attitudes towards us. We were struck by the kindness and generosity of Pakistanis, whatever their ethnicity. In particular, when we ended up in Peshawar to shop for textiles, we were impressed by the extreme hospitality and good nature of the Pashtuns. A year later, the memory of ‘gupshup’ with the Pashtuns chased me on the film sets of London. The terrorist attacks in NYC had set off a wave of Islamaphobia and outright Muslim hatred in the West, perpetuated by governments and media outlets who ought to have been less hysterical. I was angry and it spurred me into thinking about way in which I could balance out the stigmas and fear-mongering. Being exposed to film as I was at that time convinced me that film as medium had tremendous power to influence people worldwide. This is how film became my weapon to fight Islamaphobia and misconceptions of Pashtuns. Q: The film, Son of a Lion, goes beyond just touching upon a father-son narrative and really delves into the Pashtun identity, which is significant given the many misconceptions that exist about this group. How did you go about befriending the Pathans you met in the area and how were they part of the creative process of the film? Shooting this film was a great lesson to me about the Pashtun psyche. This film is a drama, not a documentary, so I needed to find actors willing to participate and there was a great deal of reluctance at first. Film is not generally a medium considered by conservative types in FATA as something acceptable. Judging by some of the Pashto films in the market, I can understand why. But film does not have to include negative and damaging information. Indeed, if film is used by the right people in the right way for the common good of humanity, it can be beautiful and uplifting. Even the Taliban and Al Qaeda have YouTube accounts and make films for Al Jazeera! In no way did I want ‘Son of a Lion’ to be a Western perspective of Pathans. This would be too obvious and has already been done by too many ignorant news stations and I despise it. For the film to be a real glimpse of Pashtun mentality, I knew I needed actors who would improvise. Befriending a Pathan is not easy as an outsider as they are notoriously suspicious about the intentions of Westerners. This comes as no surprise after so many Western nations have tried to control them, failing dismally each time. For me it took months of waiting in Lahore, teaching film at IQRA University and then countless cups of tea with contacts in Peshawar and villagers in Orakzai trying to convince them to help me. I mean, by the end of pre-production I needed a bladder transplant, that’s how much tea I had to drink for this film! When I mentioned the word ‘honor‘, the fact I could not return to Australia without a feature film, most of the Pathans felt obliged to assist me I suppose, thanks to Paktunwali. Nevertheless, I believe they were genuinely convinced I wanted to represent them in the best possible light and saw this film as platform to show the world who they were as a people. When those who are frustrated and angry do not have a proper platform to express themselves, they often resort to violence and I think this is part of the problem in FATA. Pashtun tribes have not been consulted about the best way forward in dealing with militancy in their midst. Musharraf‘s negotiation’s with the tribes doesn’t count, as he was also pandering to Taliban. The real Pashtun voice is rarely heard in the Western media. 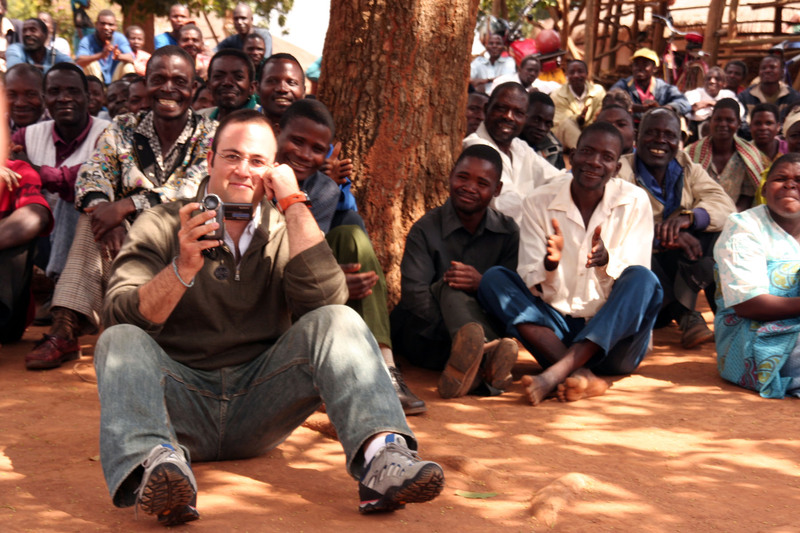 In making this film, I was offering locals a chance to send the world a message in the form of an entertaining drama. As a consequence, each actor was given the freedom to make up their own dialogues, to help shape the whole story, and to bring their own material to the process continuously. We see news footage of the security situation daily. What we don’t see are the feelings of Pashtuns. My story was about challenging misconceptions about a group with whom we are quite unnecessarily at war with. Q: Your film tells the story of 11-year-old Niaz who lives with his father Sher Alam Afridi in a small town, where for generations the local population has earned its living by producing weapons. Niaz, however, wants to receive an education. This is such an important message – what do you hope audiences will take away from the film? The real message in this film is, I believe, that when it comes to ‘change’ in the world of Pashtuns, its a very slow-burning evolution. One cannot say to a Pashtun, ‘Look, we think you should join the wider Pakistan, lose your autonomy and modernize or we’ll send in the army’. It just won’t work. In the film, Niaz sees the value of an education that includes science, languages, mathematics and so on. Although these subjects can be part of madrassa curriculum, in the FATA they tend to be left out. Niaz, as the son of a Pashtun, challenges his traditionalist father, which is a big thing in this culture to do. The boy wants an education and his father wants him to carry on in his gun factory. The only individual on earth who can possibly change a father’s way of thinking is perhaps his own son. This is the message, that when it comes to Pathans, any change must come from within, must be between father and son, mother and daughter, brother and sister to be effective. It cannot be enforced by outsiders like the Pakistani Army or NATO or US predator drones. True change will never come at the barrel of a gun. Q: Have the people in the villages you filmed in seen the film? What was their reaction? Yes, those in the villages and towns where Son of a Lion was shot have seen it and were thrilled. One or two were unhappy with the fact that I made a comparison between madrassa and government schools. Of course, I don’t have any problems with madrassas at all, I believe that in the absence of properly-functioning government schools, a madrassa is often the best option so long as it does not advocate violence. I do however believe in a well-rounded education and this means that in addition to religious instruction every child is entitled to satiate their inquisitive minds about life and nature and health, to learn skills for future employment opportunities and most importantly, to understand their human rights. So let’s have madrassas in FATA with a wider curriculum. All those involved in the film are, above all, ecstatic there is a film depicting them not as murderous extremists but as innocent men, women and children caught in the middle of a greater game in which they are but victims, pleading for a little understanding and compassion from the outside world. One day, they hope, we will see them for who they really are. The United States is a country founded on freedom, justice, and tolerance. These fundamental ideas are revisited in Journey into America, a documentary that explores American identity through the Muslim lens. Professor Akbar Ahmed, the Ibn Khaldun Chair of Islamic Studies at American University, traveled with a team of young Americans for nine months, visiting over 75 cities and 100 mosques in the United States. The result is an unprecedented effort to understand the nuanced dimensions of Islam in America, and its place within the broader American identity. Such anecdotes in the film were refreshing because they showed how misconceptions persist on both sides of the divide. While ignorance does exist, it does not always come from a place of hatred, but sometimes from a simple lack of exposure. In such instances, there is an opportunity to foster understanding and change perceptions, as was illustrated a number of times throughout Journey into America. In Chicago, the team encountered a street named Mohammed Ali Jinnah Way, in honor of Pakistan’s founding father, Quaid-e-Azam. Interestingly, the street was commissioned bya longtime Jewish figure on the Chicago City Council, Alderman Bernie Stone. In the film, Stone admits, “I probably have better support from Muslims than Jews.” He adds, ‘My message is that each of us should treat each other as you would treat your own brother.” In Los Angeles, the city with the largest Muslim population in America, Sheriff Lee Baca calls himself a Pakhtun, having traveled not only to Pakistan but also to the Khyber Pass. Well-versed in Islam, he is an instrumental leader in encouraging understanding among the various faiths in his community. The film explores the diversity of the Muslim-American community, from a Shia congregation in New York City to a community in Dearborn, Michigan to the oldest mosque in America, built in 1934 in Cedar Rapids, Iowa. Professor Ahmed and his team even visited Sapelo, a small island off the coast of Georgia. There, they interviewed Ms. Bailey, a direct descendant of Bilali Muhammed, a West African Muslim slave brought to Sapelo in the early 19th century. Although Muhammed’s descendants have since converted to Christianity, the churches on the island still face east towards Mecca, and until recently, worshipers removed their shoes before entering the church. To this day, the people of the island bury their dead facing Mecca. These different stories become the interwoven narratives of the documentary, creating a colorful picture book of the Muslim-American community. Despite the nuanced differences between the communities, Akbar Ahmed noted there was still an “overall sense of being Muslim.” Moreover, he and his team were overwhelmed by the tremendous amount of hospitality they received. That generosity and warmth, he said, became a universal thread in their journey. Professor Ahmed added, “They were so grateful because we were traveling to their homes and talking to them face-to-face, rather than writing about them from afar.” In doing so, Ahmed and his team gave these communities a voice to tell their story. The question of American identity was another constant thread in Journey into America. In particular, the film sought to address the difficult question of how Islam fit within these parameters in the aftermath of the 9/11 attacks. The issue was touched upon in the film’s numerous interviews with notable figures, including Noam Chomsky, former Secretary of Homeland Security Michael Chertoff, and Reverend Jesse Jackson. Akbar Ahmed’s team also met with Keith Ellison, a Muslim Congressman from Minnesota, who took his oath of office on the Holy Quran. Although he came under attack by some who called it “a threat to American values,” the interesting twist was that the copy of the Quran used for the swearing in ceremony was owned by one of the country’s founding fathers, Thomas Jefferson. For Ahmed, the journey was an effort to not only probe Muslim identity in America, but also revisit the ideals of these founders. He told me, “We were hunting for clues of what the founding fathers wanted [for American society].” When the team visited the University of Virginia, they encountered a statue of Thomas Jefferson. In the hands of the third U.S. President was a book dated 1786 and the words, “God-Jehovah, Allah, Brahma, Ra…” The founding fathers’ ideal of religious pluralism was immortalized in the hands of this statue. For America to progress, Professor Ahmed noted, it must rediscover these fundamental values. Journey into America is therefore a definitive study on all of these difficult questions, using an approach that is as humanistic and emotional as it is academic.